FOR THE COOK WHO HAS EVERYTHING. ESPECIALLY STYLE. 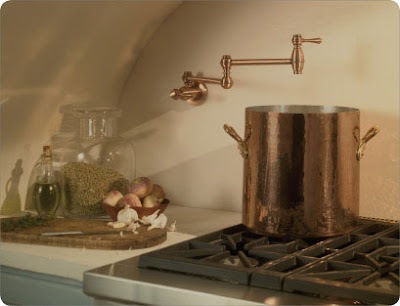 A welcome addition to any aspiring chef: a handy coldwater tap (mounted on your wall or countertop) that swings out to fill big pots right on the stove. Because creating culinary masterpieces is hard enough without the heavy lifting. Danze offers Pot Fillers in various Finishes and Styles to match your decor.